Welcome to the Formula 1 Gran Premio D'Italia. This is always a huge favourite with F1™ fans from around the world with the Tifosi of the Scuderia Ferrari team filling the 2019 Italian Grand Prix™ grandstands at the Autodromo Nazionale Monza circuit in a sea of red, this is one of the most highly anticipated races of the year. Prato is Monza’s General Admission areas that run inside of the circuit, in several key-areas of the track. Fans will enjoy Prato at the Biassono Curve, which sits in between the circuit’s first two chicanes, as well as the Lesmo corners, down the Serraglio Curve and at the final Parabolica turn. The beauty of a Prato / General Admission ticket is that it allows fans to relish various views of the action throughout the Formula 1 Italy Grand Prix. With two areas at some of the circuit’s narrow turns and two down relatively straight portions of the track, General Admission ticketholders will enjoy a full overview of the action. The Centrale Grandstand faces Starting Grid and is great place to watch the build up and Finish of the Grand Prix. This grandstand sits square on the start-finish line and is a great place to witness the start and finish of the Formula 1 Italy Grand Prix. Seats in Centrale offer outstanding views of the Circuit’s Main Straight. Sitting just opposite the starting grid, you will be able to relish all pre-race preparations as well as the start and finish of the Grand Prix. You’ll also enjoy clear sights of the Pit Lane and good views of the Circuit’s first and last turn. The Grandstand is particularly appreciated by Speed Demons. Laterale Destra A is situated just before the starting grid, offering fine views of the Main Straight and Pit Lane. The Laterale Destra Grandstand sits on the Main Straight, between the circuit’s last turn and the Starting Grid. Section A is the closest to start-finish line. Seats here offer great views of the Starting Grid as the mechanics and drivers undergo pre-race preparations. 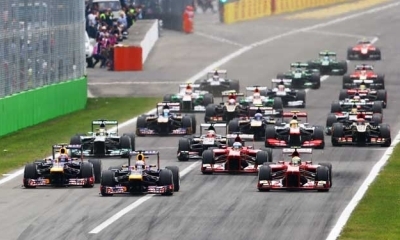 You’ll be in a prime position to witness the start and finish of the Grand Prix and will also enjoy clear sights of the Pit Lane entrance and of the cars storming out of the high-speed Parabolica turn. The Grandstand is particularly appreciated by Speed Demons. Seats at the Parabolica Grandstand offer a full view of Monza’s Back Straight and good sights around part of the Parabolica Turn. The Parabolica Grandstand is the closest to this emblematic turn, standing right at the end of the circuit’s Back Straight. Seats in the Parabolica deliver outstanding views of the circuit’s Back Straight and of the cars braking to tackle the last turn. This is one of Monza’s few overtaking sections. In the distance, you will also see the Ascari chicane, a spectacular portion of the track on which you’ll be able to witness the aerodynamic grip of a modern Formula 1 car. The Ascari Uno Grandstand faces the famous Ascari Chicane. It is arguably the best stand in its area.Fans in Ascari Uno relish a prime view of the fast Ascari Chicane, a portion of the track on which you’ll be able to truly witness the aerodynamic grip of a modern Formula 1 car. Your seat will also offer good sights of the circuit’s Back Straight leading to Parabolica. On the left hand side you’ll enjoy the cars storming towards you from the Serraglio area. With a strategic location in between two straights, the grandstand is a favourite to speed demons. The Alta Velocità Grandstands sit on the inside of the track at the end of the Main Straight, just after the Pits. 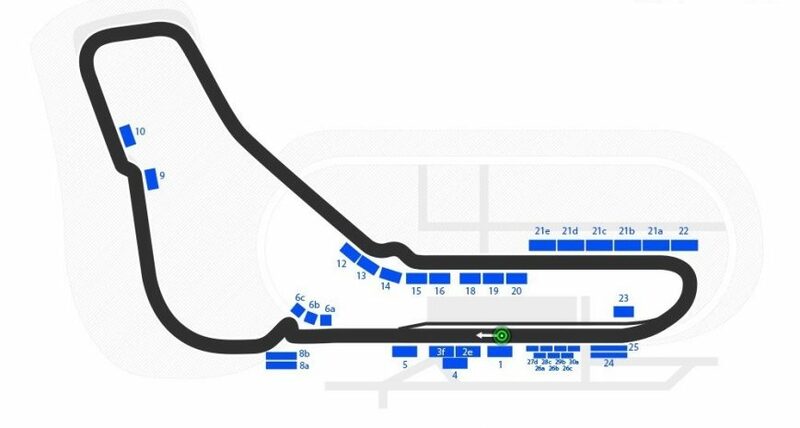 Section C is the closest to the Prima Variante Chicane. Seats in the Alta Velocità Grandstands offer outstanding views of the Prima Variante Chicane, located at the end of the Main Straight. This area, which includes the first few turns and forces the cars to drastically brake at the end of the straight, is one of the circuit’s few overtaking sections.